We cover half your international shipping! We hadn’t really planned on building this one, but on a whim we had the mock up laser etched for a test. I generally don’t like putting logos on the top panels of the wood boxes but after doing so I think the design looks great. So its officially available for special orders. Short lead time. ***LED responds to your playing. 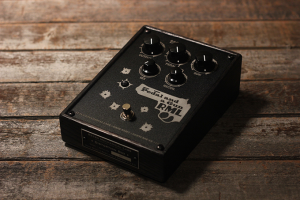 The Pedal and a Gun overdrive and distortion pedal is a new take on an old classic. Born of many hours of listening to the Blues, this pedal embodies those times when your woman done you wrong, the man has got you down and there just ain’t seem to be no relief, and all you need is a guitar and a Pedal and a Gun. The Pedal and a Gun combines an overdriven tube sound with with a high-gain boost control along with clean, buffered-signal features designed to help you get that perfect tone on stage or in the studio. With three traditional knobs for Volume (Output), Tone (Pedal) and Gain (Gun), this gives a familiar driven tone. 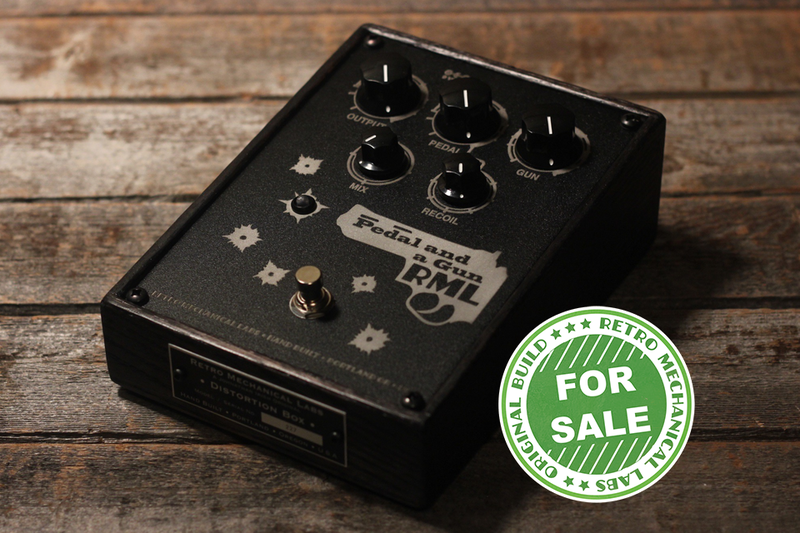 This pedal also offers an additional gain boost (Recoil) that can be dialed in for even more drive and aggression! The LED functions as both power indicator and meter and responds to your playing. 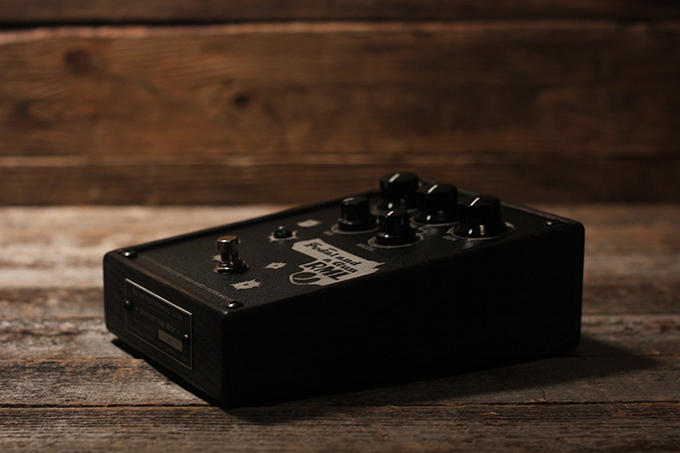 Output: Controls the overall volume of the pedal. Pedal: Tone control, also controls secondary gain knob. Tuning knob to the left limits gain on secondary control, turning to the right adds it in. Recoil and Pedal and turned up to their maximum settings. Mix: Controls the mix between the gain signal and the clean, boosted signal to the primary output. Boosted volume is fixed and is unaffected by the output control. Output Jack: Primary output for the pedal’s distortion signal. We have this item in stock! Custom orders take about 2 months on this pedal.